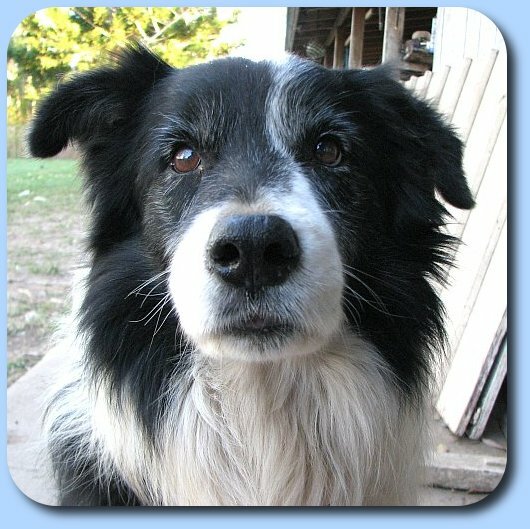 Garibaldi - the cute fluffy BC lap-dog of the pack - NOT! 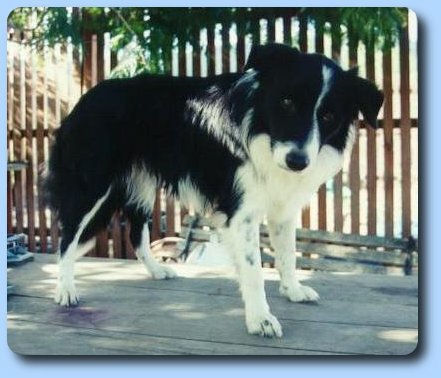 Our little man was always BC to the bone, with an irrepressible urge to herd. Garibaldi always had all the typical BC moves, and used plenty of "eye" when he crept in on the stock. 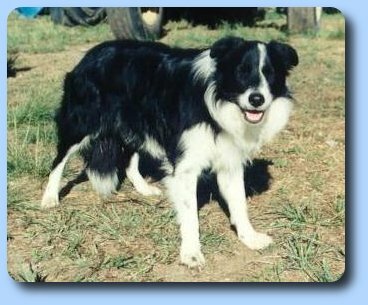 Under his full coat in his prime he was a lean 48cm (19") and 16-17kg pure working dog. Garibaldi always loved his agility and tended to do well on the days he remembered the colours. Of course he always thought it was more fun to jump rather than run ALL the way to the bottom of the walk. 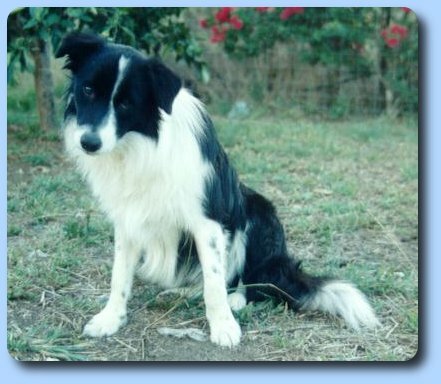 Garibaldi was also a natural tracking dog, but did not compete in many trials in his younger days. 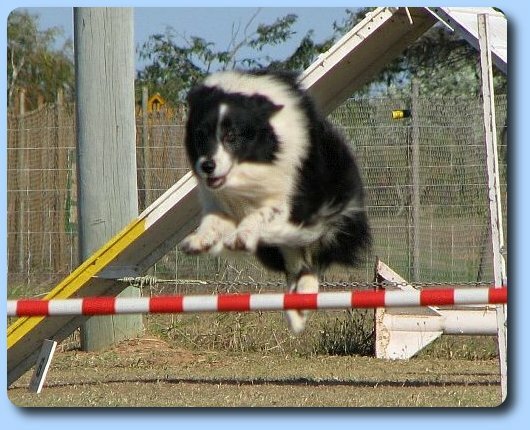 He did go back and get his tracking dog title in 2005 after getting a little too old for agility. See Garibaldi at work for more. Garibaldi as a little baby. 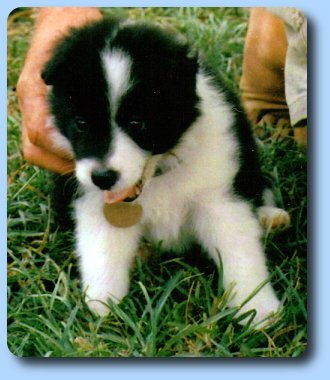 He was just 5 weeks of age when he came to live with us, which is a little earlier than usual. In this photo he is just a cuddly little baby at only 9 months of age, and just couldn't stay awake after 7pm! 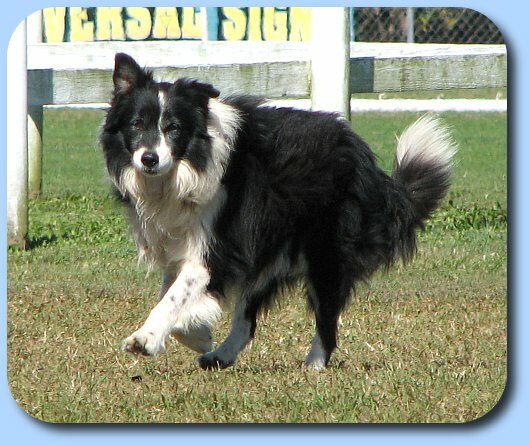 Our little precious pup - always ready to pose for the camera, but catching him in action is another matter. Still competing at age 11. Getting a bit grey with age.